It took me a long time to try to make cinnamon rolls. Not because the recipe is hard, but because they are time consuming due to the rising time. Too fancy for just my husband and I, and what company is going to stay in bed long enough for me to make these. Finally I had my teenage cousins over and I had the opportunity to try these out. Cinnamon rolls are now on a rotation as I have figured out that I can make them in advance, and freeze the rolls making for an impressive, yet stress-free breakfast. Perfect for holiday mornings. This recipe is adapted from “The Joy of Vegan Baking” . I found the recipe did not have enough filling, so I upped the quantity there. I also roll my dough out thinner and end up with lots of small cinnamon rolls. To make ahead you have a few choices, they both work well. 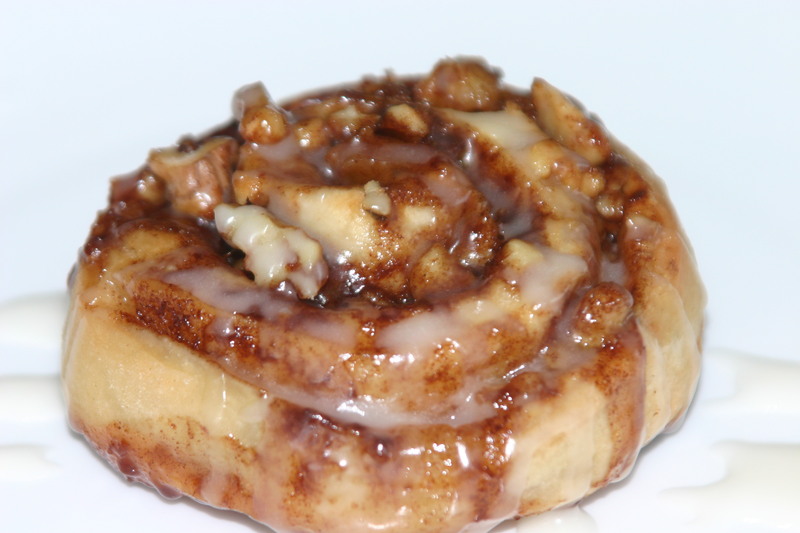 Option one: make the cinnamon rolls completely including baking. Freeze the rolls and re-heat in a 350 oven until warmed through. Make the icing and ice at this time. I have a tendency to over-bake the rolls using this option, just because I’m not paying attention, but it is very fast. Option 2: Make the rolls to the point where you cut them. Then wrap and freeze. The night before you want them put them in the refrigerator to thaw, morning of let them rise for 30 min to an hour, then bake and ice as directed. They come out a bit more perfect this way, but it takes a bit more waiting time. Add the warm milk mixture and mix with the dough hook attachment. If you don’t have a stand mixer you can do this by hand. Continue adding flour 1/2 cup at a time until the dough forms a ball and no longer sticks to the sides of the bowl. Place buns on a baking sheet lined with parchment paper (for easier cleanup). Let the the rolls rise until almost doubled in size, about and hour. Home made cinnamon rolls are the best.